Dangers of Plastic Teethers, Bottles, Etc. his bait a silver star"
Mama, how long will you love me? "I'll love you until the umiak flies into the darkness, till the stars turn to fish in the sky, and the puffin howls at the moon." --Barbara M. Joosse from Mama, Do You Love Me? while you are growing old." The shortest distance between two points, isn't the point. Choose a pediatrician who is a patient individual and loving parent. Baby Food Baby Hygiene Baby Music Organic Cotton Diapers Video's for Baby Essential Baby Gear List Forgo Plastic, Buy Glass Baby Bottles! So sweet. So innocent. So vulnerable. Being the mother of a new baby requires us to be patient, use our innate mothers' knowledge to keep our babies safe and healthy, and to give love. We at KidsOrganics.Com are here to pass along our tried-and-true knowledge on some of the things that perplexed us most as new mothers. and some basic tips to keep your sanity and patience the first three months and beyond. Additionally, we provide you with the tools to empower and educate yourself on your baby's health, by providing you with links to books on natural, traditional, herbal and homeopathic remedies. What follow are a few products we have used faithfully and successfully on our children over the years. We hope you will enjoy them as much as we have. This group offers delicious organic baby foods! Click here for full product list, ingredients, and prices. Other organic baby food companies include Earth's Best, and lately, Gerber's new organic line--Tender Harvest. Check to see if your grocer carries these, if not, ask him to do so! Goat milk is the closest to mother's milk in composition. 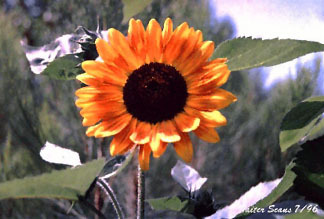 It is easily digested and has been used as a "substitute for Mom" for centuries. In case you can not breastfeed, you may wish to try dehydrated goat milk as part of your baby's "formula", as an alternative to manufactured "baby formulas". Meyenberg Goat Milk is packaged as an evaporated liquid or powdered. Where natural and organic products are direct to you! (Just type in "Meyenberg" in Search Box). Click here for formula recipe utilizing goat milk. This a lovely, natural bar shampoo, free of sodium laurel sulfates. Gentle and wonderful, easy to use on squirmy baby, keeps contact close. We highly recommend. Natural Baby and Kids Shampoo by Aubrey Organics. Calming shampoo for children afraid of shampooing--note the chamomile, fennel, hops and mint. Ingredients:Deionized water, coconut oil, liquid protein, fennel extract, hops extract, balm mint extract, mistletoe extract, camomile extract, yarrow extract, allantoin (comfrey leaf extract), vanilla and almond oil (for a natural baby fragrance), citrus seed extract with vitamin A, B and C as a preservative. To order, go to Aubrey Organics. Olive and Aloe Soap by Kiss My Face. The ingredients speak for themselves. This bar is large and gentle and works for the rest of the family. Ingredients: Saponified Olive Oil, Water, Aloe Vera, Sodium Chloride, Citric Acid (a natural pH balancer) and Fragrance. Kiss My Face Olive Oil Bar Soaps . Thick, creamy, natural and gentle---this is the most effective diaper cream we have ever found! Ingredients: Zinc oxide, sweet almond oil, beeswax, tocopherol acetate, tocopherol (vitamin E), jojoba oil, lavender oil, retinyl palmitate (vitamin A), extracts of rosemary, lavender, calendula, chamomile, rose petal and comfrey root. Go to Baby Marketplace, Bath Section, for a great price! This is a lovely, little kit to give as a gift to expectant mothers. What a special way to teach a new mom to treat her baby gently, lovingly, and naturally. Kit includes small bottle of apricot baby oil, vial of the fabulous diaper cream, packet of buttermilk bath, small shaker of baby powder (no talc, just cornstarch and sweet botanicals), a small glass jar of skin cream, and a bar of buttermilk soap. All natural, nothing harmful--makes you feel good, doesn't it? This gentle all-purpose fragrant soap can be used as a "bubble bath", soap, and shampoo. No SLS. Great to have on hand for baby and you. Ingredients: Water, Saponified Coconut-Hemp-Olive Oils (with retained glycerin), Olive Fatty Acids, Essential Oil, Rosemary Extract. Available in Peppermint, Lavender, and Eucalyptus. The Vitamin Shoppe . Search for "Dr. Bonner's". Give hugs. Sing. Tickle toes. Play. Play songs by Kenny Loggins' "Return to Pooh Corner" and the "Rock-a-Bye Collection", recorded by Someday Baby, Inc. 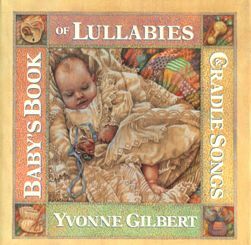 Try recordings of lullabies sung in different languages or from different cultures, such as Baby's Book of Lullabies and Cradle Songs, by Yvonne Gilbert. Shed a tear for all the women who do not know what it is to be a mom. And send out a giant hug for all of us who are. Although we do not carry diapers, here are links to very good organic cotton diaper companies. Fair thee well!!! Mother Ease.com and Baby Bunz and Company. To fold a cotton diaper correctly, go to Baby Center.Com. For methods on how to increase your breastmilk flow, (also tips on how to pump milk while at work) click here. For a list of essential things to carry in a diaper bag, click here. Wrap your baby in clothes and blankets made from organic cotton whenever you can. Organic cotton has no pesticide residue or toxic dye on the fabric (which can be absorbed into your baby's skin), and the feel is wonderful. Here are a few links to companies which carry organic cotton products: EcoBaby.com, Garden Kids Clothing.com, and Maggie's Clean Clothes. Enjoy the fact that you continue to bring comfort to your baby! Anti-Toxin Advice--Forgo Plastic, Buy Glass! Throw out plastic bottles, plastic teethers, soft plastic toys that your baby will put in his/her mouth. Most soft plastic products are made with PVC. The chemicals which comprise PVC, have been known to leach into water, food products and the mouths of little nibblers. (See press releases on the dangers of plastic baby bottles or PVC toys). Protect your baby's immune system, buy glass bottles instead of plastic, (Evenflo makes them, and Target and BabiesRUs carry them), and opt for organic natural fiber or wooden toys. Looking for the best natural and organic baby gifts? Discover Bunnyberry: The Web's unique baby boutique. Parenting Magazine's top baby gift site.